Rashard Mendenhall celebrates after a one-yard touchdown run during the first half of an NFL divisional playoff football game against the Baltimore Ravens in Pittsburgh. Sloppy game, lots of terrible turnovers. WOW! you have the picture i was there but i can not see anything my friend is typeing for me i need to see this show it is funny. If NE wins, Steelers better stick it to them. Thank God the "evil Baltimore birds" blew their chance. Now if only the Packers can clip the wings of that other evil bird team! A very impressive second half for the Steelers. The Ravens didn't finish, so they didn't deserve to move on. I thought the Ravens would represent the AFC in the Super Bowl at the start of the season and I was wrong. They were looking good until a complete collapse in the second half of that game today against the Steelers. That was a total meltdown and self-destruction. The Steelers continue to be resilient. A hop skip and a jump for the Packers tonight! And all I am thinking about now is.. . .
Nice pics Shari. Good luck tomorrow both for the Hubcamp and the NYJ. I dont know what happened to the Ravens. They gave this one up, more then the Steelers winning it. whatever happened to the Ravens.. New England caught it !!! What a day .. what a day. . .
seems like D- fense and W - ildcards are the name of the games. The top seeded lost to the wild cards, but this is playoff, anything can happen. Amazing D of the JETS team. Definitely agree. I think the Bye week hurt the Patriots / Falcons more than anything. What a game - Steelers won against Ravens! Where would you rank his performance among the greatest playoff performances of the past? 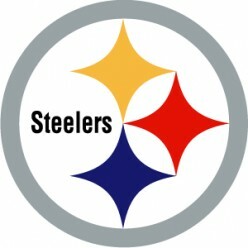 Ravens Vs. Steelers...Who do you think will win Saturday Jan. 15 2011? NFL Week 1: Which Game are you Looking Forward to the Most?